Lite Sight is the lightest and most compact portable environmental camera on the market today. This system is designed to make transport from site to site easier than ever. 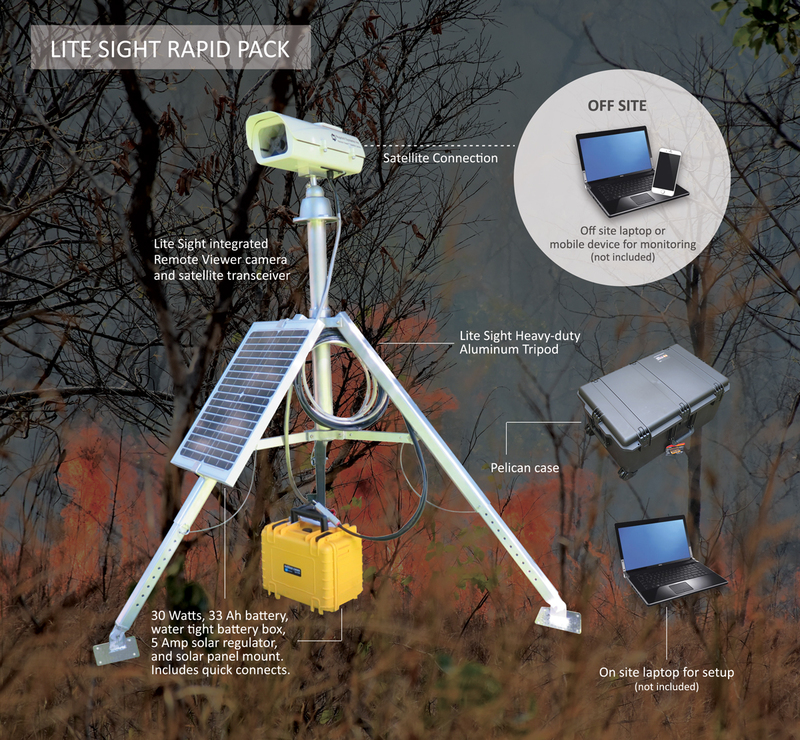 Lite Sight is ruggedly constructed and engineered for the rigors of field applications and can be set up for a week, a month, a season, or longer. Although the Lite Sight system can be used for permanent applications, it’s compact and well-suited for your short-term operational requirements in multiple locations. Ease of transport and ease of assembly and disassembly make it perfect for rapid-reaction situations. Lite Sight is extremely simple to setup, and in minutes, you can start accessing scheduled images from your remote site—quickly and efficiently. Lite Sight combines Nupoint’s core two-way satellite data transceiver technology and camera into one ruggedized unit that simplifies setup and takedown out in the field. Lite Sight is lightweight, sturdy, can withstand harsh weather conditions and delivers exceptional value. The Lite Sight Rapid Pack includes everything you need for quick deployment in one convenient transport case.